How does your family honor the fallen on Memorial Day? It’s important to join together and remember the brave men and women who gave their lives for us. Of course, there are lots of creative ways to commemorate the holiday, including fun activities and craft projects to teach the kids about the significance of the day. 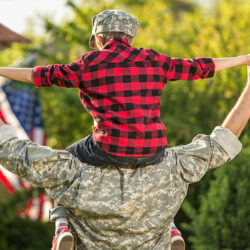 Here are some of our favorite Memorial Day activities to celebrate and honor the fallen. It’s that time of year again. The threat of snow no longer looms. The temperatures are beginning to rise. And, the robins are leaving their winter shelters in search of places to nest. 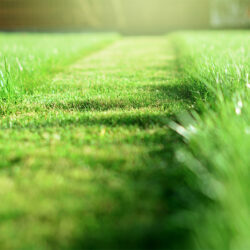 As the outside world springs back to life, it’s important to start preparing your lawn and garden. Here are some handy spring yard prep tips to help. Feeling lucky yet? You don’t have to be Irish to join in on the holiday fun. 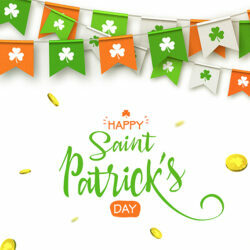 Just grab something green and gear up for St. Patrick’s Day on March 17th with a few fun DIY crafts. Below, we’ve compiled a list of creative St. Patrick’s Day decorations that you and the kids can make to spruce up your home. Ready to give your cabinets a new look? Upgrades don’t have to be difficult or expensive. In fact, sometimes the smallest changes can have the biggest impact. Instead of a complete remodel, just swap out the cabinet hardware to make your kitchen or bath feel like new. All you need is some DIY inspiration and a few tools to transform your cabinets. And, Cape Ace Hardware can help with both. 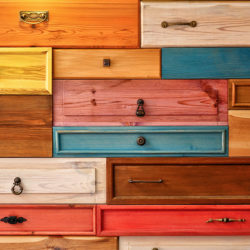 Here’s a list of our favorite do-it-yourself cabinet hardware projects. It seems like you’ve only just finished tidying up after the end-of-year holidays, yet February is already drawing near. Valentine’s Day offers another opportunity to invest in some seasonal decorations. Door décor can help create a welcoming presence inside and outside of your home. And, you’ll help remind everyone in the neighborhood that love is in the air. 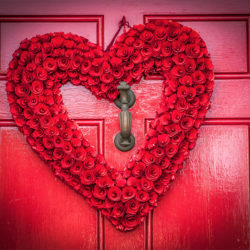 Here are some tips and tricks to get you started on your Valentine’s Day door décor. This time of year, there are lots of guests coming and going. Once the last person leaves, it’s time to breathe a sigh of relief. You’ve successfully made it through another holiday season. Unfortunately, now it’s time to clean up and settle back into a routine. Follow these seven cleaning tips for after the holidays. Is your home prepared to stand up against the upcoming cold weather? Well, there’s an easy, inexpensive way to immediately help keep your house warm. 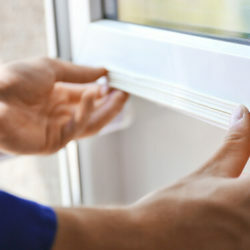 We’re talking about adding new weather stripping on your windows. Weather stripping prevents the windows from getting drafty, and it’s a nice upgrade to the old strips you’re currently using. Follow these step-by-step instructions to get started. If you have an empty wall that you just don’t know what to do with, get creative with some DIY wall art projects. They’re the perfect way to add personality and style to any room. Whether you just moved into a new home or simply want to change up the décor, now’s a perfect time. Smoke alarms are one of the best ways to protect yourself and your family from fire and gas. Alarms are small, fairly easy to install, and can help save your life in the event of an emergency. However, it’s important to install and maintain them correctly. Otherwise, they may not work as well as they should. 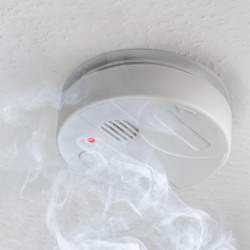 Here are some tips regarding the installation of smoke alarms and CO alarms in your home.